Complete model is not manifold, but rather a composition of manifold "parts". 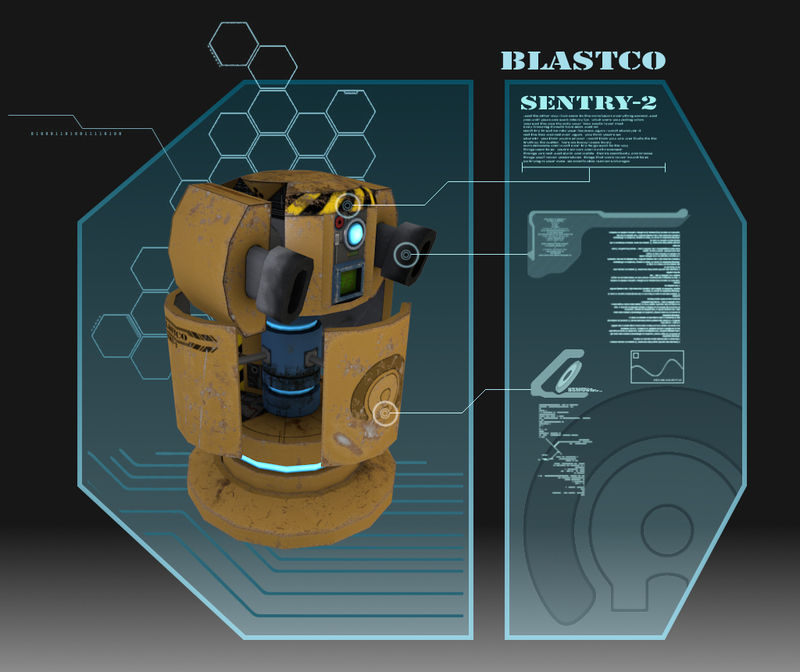 Each part is manifold and all parts were combined into a single mesh named "Sentry-2". Maps included are all large 2048 x 2048. Reason is they can be reduced but not grown, resize them to fit as needed. Textures were otherwise hand painted. Version 1.0 - Sat Mar 23 10:43:03 CDT 2013; Initial release. I know the folks at Plaintextures have explicitly allowed use in the past. Can you confirm that this is the case for the textures you've used here? I will work on getting them to post here. Will this be required to be done for every model using them as a resource? Cool. Me like it. Thank for uploading this, Quandtum. Sweet. Reminds me of the turrets from SS2. @Quandtum: If they're willing to give you blanket clearance on all of your models, then no. Just mention it in your description if that's the case. Okay, thanks Bart. I PM'd plaintextures here so hopefully they'll be along soon and I'll discuss with them how they would like to move forward. Either way I will try to figure a way to make this more smooth in the future. Thank you! Game is coming slow and steady, having a fun line of ideas to model is a lot of fun. Many more models to go! I just recently started trying to better understand the BGE. The project may still go Torque 3D but I am hoping to just do it in the BGE still. So can everybody use the textures from plaintextures and goodtextures for FOSS models now (that would be great) or do we need a unique permission for every project? As it's just a layer in my file, I will make the diffuse map with the smile available and put it in the package here tonight when I get home. Then both versions will be available as an option. This will give the bots some character, like the robots in portal. I could paint smileys over myself, my leet-paint-skills are barely enough for that, but thats not the point, since I don't want to use them now, but I downloaded it to see if the smiley is really on there. you can use textures from plaintextures.com for your projects.